Call us toll free at: 1-800-255-7227, Monday - Friday, 8 AM to 5 PM PST. Founded by Max and Verda Foster in 1939, Foster Farms remains family owned and operated to this day. A few things have changed, however. Like growing from two employees to over 10,000. In fact, we've become the most trusted poultry company in the Western United States. 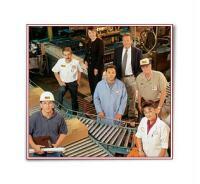 But even as we've grown, we've always stayed true to our founding principles of integrity and product quality. Today, Foster Farms' CEO Ron Foster oversees operations in California, Oregon, Washington and Alabama, serving consumers across the country. We're committed to providing you and your family with the highest-quality poultry products everyday. Time passes, great traditions go on. You spend a lot of time making sure that your family is safe and healthy. We spend a lot of our time making sure that Foster Farms products are the safest, highest quality products available. It's more than having locally grown chickens and turkeys. It's being involved with every step of the process, from hatching the eggs to delivering our poultry to the store. We want to be sure that everyone who buys our products knows that they are getting our best: Pure honest to goodness every time.